When you read Wunderdog's analysis, you won't find things like "Get my baseball pick of the year", "Get my guaranteed 5 star NCAA pick", or even crazier, "I've got my Monday Night Football Game of the Year", when it's week 0000003. Dog simply tells it like it is, analyzing current and past trends along with how teams are playing today. I'm not saying the Dog will win 80% of the time, I'm saying the Dog will win. Underdog always came through, and so does Wunderdog!!! So you love college basketball. Now you’ve decided to put your money where your passion is to make “things interesting” and wager on college hoops. 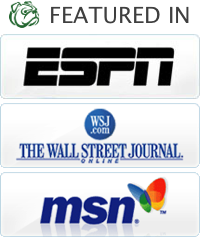 I’ll bet you’re looking for a reliable source for college basketball picks. Welcome to Wunderdog Sports! The passion of college hoops is second to none and the fans are as ravenously loyal to their teams as in any other sports. I too share that passion for college basketball. Having gone to a pair of Division I schools (University of Colorado and Northwestern), I understand what life is like on campus and have the personal experience on which to base my NCAA college basketball picks. I also know that with such fierce loyalties, novice bettors can sometimes break the cardinal rule of sports betting: never bet with your heart, always bet with your head. The bottom line in this situation is never let your emotions get the best of you, resulting in betting over your head. It’s a hard to take yourself out of your college basketball allegiances and make the correct call. That’s where I come in. I use raw data and statistics to formulate a system for NCAA college basketball picks that takes out all the guesswork. You can leave you emotions at the door and leave the tough calls to me. By signing up to receive my free advice on college basketball handicapping, you will not only will you my great picks you will also get game analysis and insights which include: statistics, power ratings, trends, momentum, and player injury reports. You will also have access to how-to guides for betting against the spread (ATS), moneyline, as well as over/under (totals) selections. From Midnight Madness to the Final Four, I deliver high-quality, concise, and clear NCAA picks. One factor that often gets overlooked in playing college hoops games is simply the time of the year when the games are played. Through years of experience and research, I can help make the best selections throughout the season, as player and coach intensity varies from the college hoops regular season, conference play, and of course the NCAA Tournament, NIT and all other postseason action. Speaking of the postseason, it goes without saying that the NCAA Tournament is huge. When it comes to the Final Four, very few other sporting events can captivate the attention of the entire country as everyone jockeys to fill out their brackets. For most people, trying to navigate through a 64-team tournament field can be a daunting, if not impossible to make heads or tails of – so let me do it for you! Every season I release a completed tournament bracket that you can use for all of your office pools and “friendly” competitions. I employ the same dedication to research to make my bracket selections as my daily picks, so let me be your secret weapon when it comes to tournament time. At the end of the day, Wunderdog Sports is your no-nonsense, go-to guy when it comes to all things college basketball. Where higher learning meets higher earning, Wunderdog Sports is the key! For more great free picks and advice, check out Predictem's basketball picks.